A drive in the scenic countryside will reward you with enchanting places to visit and explore. In comparison to touristic Dalmatia in the south, Istria is an undiscovered gem. The charming hilltop towns are typical for the region and boast spectacular views. If you want to enjoy breathtaking vistas that stretch all the way to the sea, take a tour of Istria’s hilltop towns. Istria is a fantastic destination for food-lovers; try wine-tasting in family-run vineyards, go truffle-hunting in the forests or dine in rural establishments where the produce is grown and cooked on the on the premises by the family. 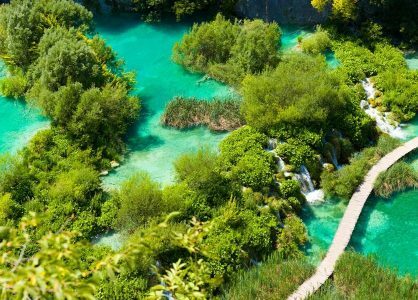 Discover the Istrian riviera as well as the region’s valleys, mountains and forests on a Croatia multi-centre holiday. 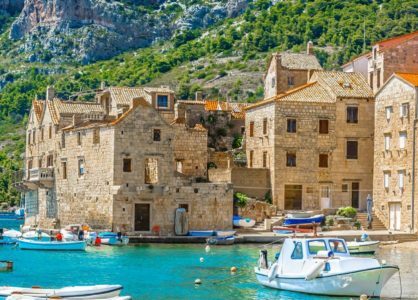 Or take a Croatia luxury cruise around the Kvarner Islands to explore the coast of the Istrian peninsula. Read on for our favourite Istrian hilltop towns and villages. Motovun is the most popular Istrian hilltop town and it attracts visitors from all over the world. The town is located on a 280m high hill above the Mirna River. The surrounding countryside is famous for the black and white truffles that you can hunt in the local forests. Motovun has many art galleries, souvenir shops, cafes, bars and restaurants to explore. In the summer it hosts the popular annual film festival. The enchanting medieval town of Groznjan sits on the hilltop, 228m above sea level. From this vantage point you can feast your eyes on the Mirna Valley, and the olive groves and vineyards. You can also enjoy spectacular vistas of the sea and the coastline, from Novigrad to Umag. The houses and buildings in Groznjan are built from stone that is different in shape and colour to the stone that is used in other regions of Istria. The town has a typical medieval layout, with houses that are built very close together for protection. The streets are cobbled and winding, with little alleys that lead you to interesting discoveries. There are also plenty of art galleries to visit in this art town. In the summer, Groznjan hosts the popular jazz festival. The quaint fortified town of Boljun is located in Central Istria, in the valley below Mount Ucka. The town has a well-preserved historic medieval castle that offers fabulous views over the Boljuncica valley and of Ucka Mountain. Enjoy lunch in the local restaurant and savour the laidback pace of life. Also in Central Istria is Gracisce. The medieval hilltop town has many interesting old churches and a selection of small shops, a bar and a restaurant. If you visit during Easter weekend you can enjoy the atmosphere at the popular annual Grasicse Wine Fair. 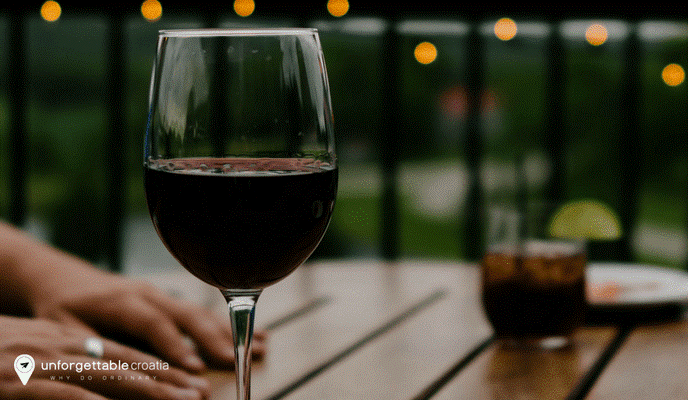 You’ll also have plenty of opportunities to sample the local wines. Located high above Mirna Valley is the charming town of Oprtalj. Situated outside of the town walls, there is a Venetian loggia that offers stunning views of the neighboring hills and olive groves. Many of the town’s houses have brightly coloured facades. For an authentic flavour of Oprtalj, visit the famous local olive oil producers in the region. Zigante is situated in the village of Livade, and Ipsa can be found in the village of Ipsi. 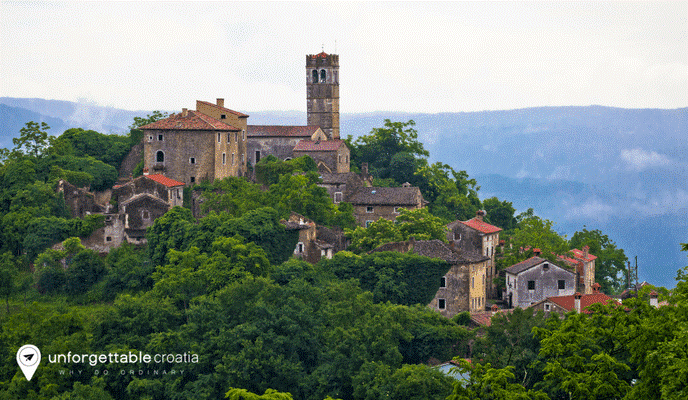 Završje is the most interesting and picturesque hilltop town of Istria. Although the town is quite big in comparison to other towns, it’s mostly abandoned. The majority of the houses are covered in wall climbing ivy. There is also a leaning bell tower, and a local inn where you can enjoy tasty homemade Croatian delicacies. Call us today for expert advice on your dream trip to Croatia: 020 8004 2345. 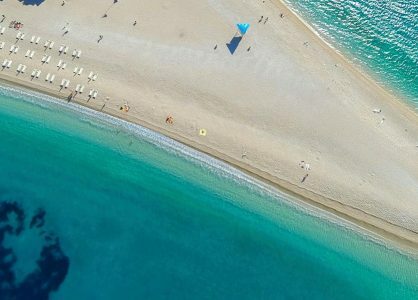 We also offer a fantastic range of bespoke Croatia activity holidays.